The Woods Hole Oceanographic Institution (WHOI) and the Consortium for Ocean Leadership (OL) announced Teledyne Webb Research, of East Falmouth, Mass., will provide coastal gliders supporting the Pioneer and Endurance Arrays of the Coastal and Global Scale Nodes (CGSN) for the Ocean Observatories Initiative (OOI). WHOI, an implementing organization on the OOI Program, awarded the contract for approximately $260,000 to Teledyne Webb Research. Under the terms of the contract, Teledyne will make necessary design modifications to the company’s “Slocum” glider in order to meet the CGSN specific requirements. Testing and production contracts, including the development of a prototype vehicle, will follow later this year. The first production units are scheduled to be delivered in April 2012. 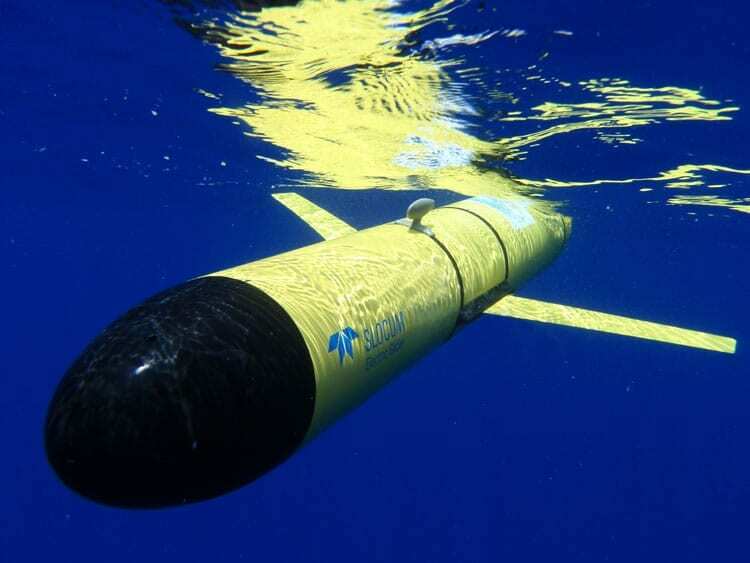 Gliders are autonomous underwater vehicles that use buoyancy propulsion to travel through the ocean gathering data on ocean physical, bio-optical, and chemical properties such as temperature, salinity, chlorophyll and dissolved oxygen. Their missions will last up to three months during which they will travel up to 1800 km. While employed, they will relay their data to shore via satellite telemetry. The OOI, a project funded by the National Science Foundation (NSF), is planned as a networked infrastructure of science-driven sensor systems to measure the physical, chemical, geological and biological variables in the ocean and seafloor. As a fully integrated system, OOI will collect and disseminate data on coastal, regional and global scales. Through a unique cyber-infrastructure, OOI will make ocean observing data available to anyone with an internet connection. Greater knowledge of the ocean’s interrelated systems is vital for increased understanding of their effects on biodiversity, climate change, ocean and coastal ecosystems, environmental health and climate. WHOI and its partners, Oregon State University and Scripps Institution of Oceanography are responsible for the OOI coastal and global arrays and their autonomous vehicles. The “Slocum” gliders will aid the transformational nature of the OOI by enabling continuous monitoring at the coastal Pioneer and Endurance Arrays, allowing near real time series data from remote locations. The data they collect will enhance that collected by fixed buoys, and the glider’s satellite telemetry system will allow the vehicles to relay their data to shore. This communication ability enables scientists to alter the vehicle’s mission instructions for adaptive sampling in response to events in the ocean. Coastal gliders are modular and are designed with the ability to maneuver and operate where the total water depth is as little as 30 meters and to sample to 1000 m in deep waters adjacent to the coast. The OOI coastal gliders will operate south of New England as part of the Pioneer Array and off the Pacific Northwest as part of the Endurance array. The OOI Program is managed and coordinated by the OOI Project Office at the Consortium for Ocean Leadership in Washington, D.C., and is responsible for construction and initial operations of the OOI network. Three implementing organizations are responsible for construction and development of the overall program. In addition to WHOI, the University of Washington is responsible for cabled seafloor systems and moorings. The University of California, San Diego, is implementing the cyber-infrastructure component. The OOI five-year construction phase began in September 2009, with nearly $106 million of first-year funds coming from the American Recovery and Reinvestment Act of 2009, and $5.91 million in NSF construction funds. Requests in FY 2010 and beyond, totaling $274.58 million for construction, fund the acquisition of OOI instruments and sensors, production of key infrastructure elements such as the coastal and open ocean moorings and the deployment of these assets. The first years of funding for OOI under the Cooperative Agreement supports a wide range of construction efforts, including production engineering and prototyping of key coastal and open-ocean components (moorings, buoys, sensors), award of the primary seafloor cable contract, completion of a shore station for power and data, and software development for sensor interfaces to the network. Subsequent years of funding will support the completion of coastal, deep-ocean, and seafloor systems, with initial data flow scheduled for early 2013 and final commissioning of the full system in 2015. The Consortium for Ocean Leadership is a Washington, DC-based nonprofit organization that represents 95 of the leading public and private ocean research and education institutions, aquaria and industry with the mission to advance research, education and sound ocean policy. The organization also manages ocean research and education programs in areas of scientific ocean drilling, ocean observing, ocean exploration, and ocean partnerships.